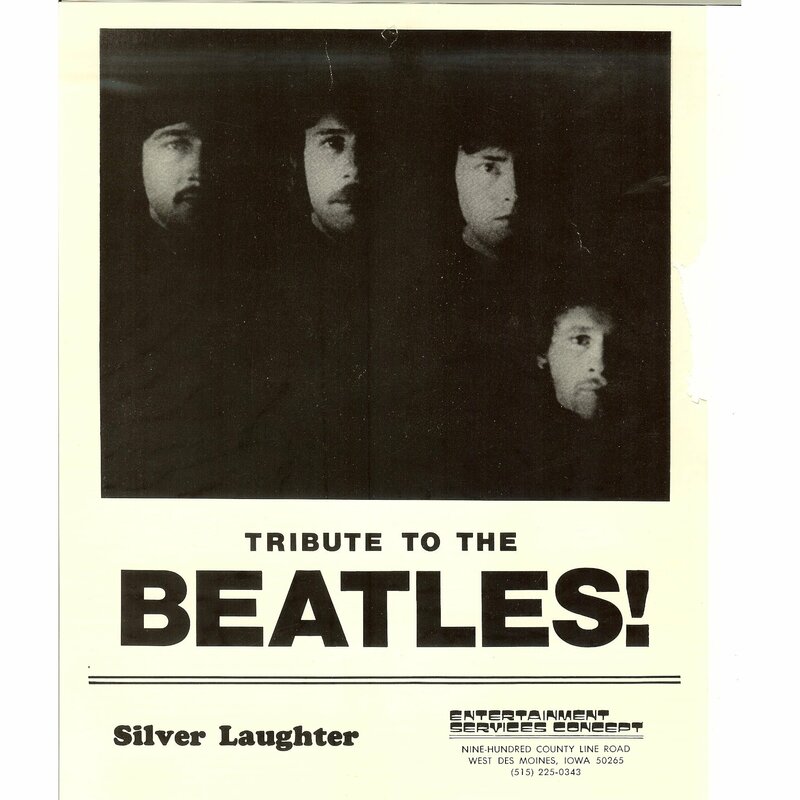 Click on the link above to hear the entire song done by Silver Laughter in June of 1977 at the Edgewood Inn. We originally had learned many songs by The Beatles in their entirety before we melded them together into our two Beatles Tributes and had to shorten them. This is a fine performance with Jon Ludtke singing lead and playing guitar, Mick Orton was on piano and backup vocals, Ken Wiles was on bass and backup vocals and Paul Staack was on drums and backup vocals. The only “Tribute to The Beatles” promo picture we ever had was with Kim Ludtke when he was our drummer. ‹ Happy Thanksgiving from THE SILVERS!